In the small Kenyan town of Kajiado, Maasai warriors are coming together to compete in the Maasai Olympics, a biennial showcase of bravery and skill. Organised by the Menye Layiok cultural fathers in collaboration with Big Life Foundation, the athletic games encourage Maasai to compete for prizes and trophies, instead of through their age old tradition of hunting the lions that roam the land. Since the event was established in 2012, it has proven to be a resounding success, with this year's event set to take place on 13 December. From across the Amboseli-Tsavo region - a wilderness of more than two-and-a-half million acres, that's home to six Maasai groups and wild game such as lions, elephants, buffalos and rhino - 120 athletes now take part, while almost eradicating the practice of hunting lions. 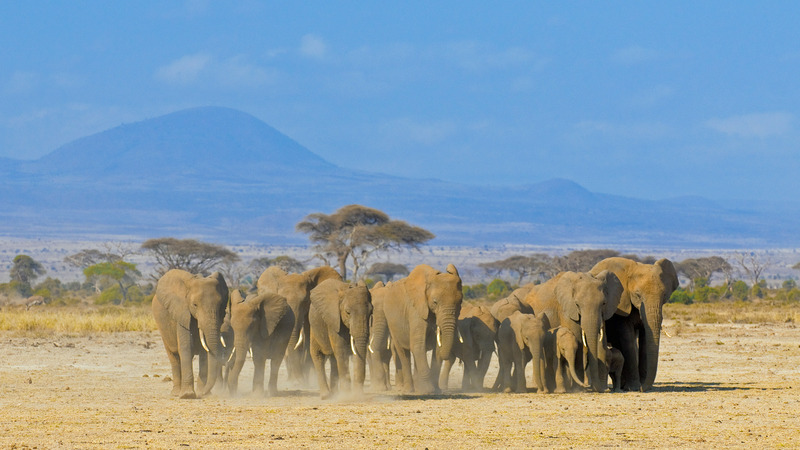 Tom Hill, the director of Big Life Foundation, tells us how the event began: "The Menye Layiok are the cultural fathers and teachers of the 4,000-strong Iltuati warrior generation, who came into power in 2012, of the entire Amboseli-Tsavo ecosystem. 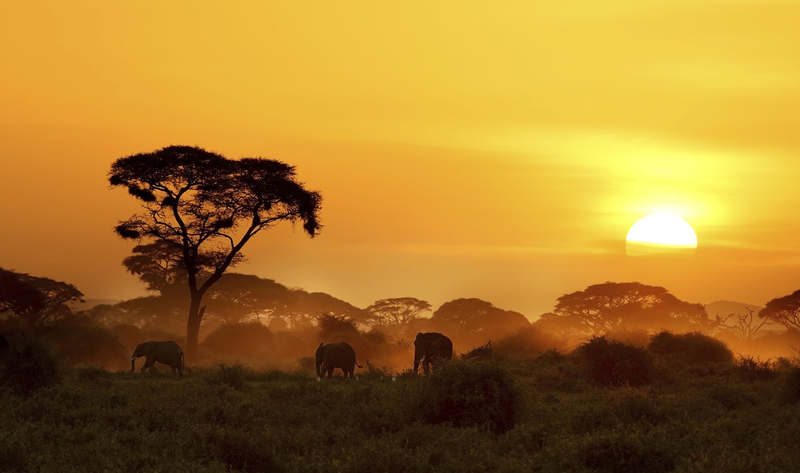 One afternoon in late October 2008 a group of eight men came down my driveway in the Chyulu Hills, unannounced, with Samuel Kaanki." "The Menye Layiok are the cultural fathers and teachers of the 4,000-strong Iltuati warrior generation." 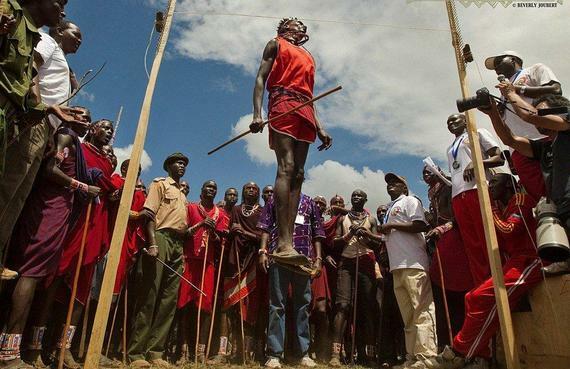 The men proposed that after seeing the success of Big Life Foundation's predator compensation program, they wanted to take this next warrior generation to another level by making the 500-year-old tradition of lion killing a cultural taboo, explaining that they would teach the Maasai this new way of thinking, with one of the elders adding: "Don't most boys around the world compete for recognition and girls through sports?" Image by Big Life Foundation. "From that moment, the Maasai Olympics were born," Tom continues, "Five events were identified as being warrior skills, so they became the Maasai Olympic games." These included the 200-metre sprint, the 800-metre run - supported by the event's Patron, Olympic gold medalist David Rudisha - the 5,000-metre long distance race, rungu throwing for accuracy [a wooden object used for herding to drive away small predators], and spear [javelin] throwing for distance. Since then the Maasai-warrior style high jump has been added as the sixth skill. "The idea has actually become embedded in the new warrior culture in a very short time." 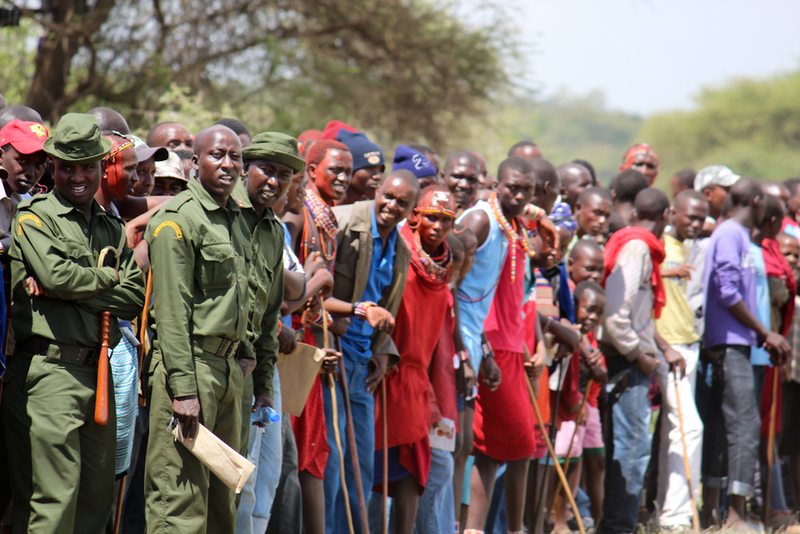 The reaction of the Maasai community has been overwhelmingly positive since the athletic event began. "Large crowds attend to cheer on their favourite athletes and teams, just as in the western world," Tom says, "And the warriors compete with great enthusiasm, supporting each other as team members. The tryouts for team membership have increased enormously since 2012 too. The idea has actually become embedded in the new warrior culture in a very short time. All four warrior chiefs sit on our Maasai Olympics advisory board, as do their Menye Layiok; this is unprecedented, as is the whole idea of this event." 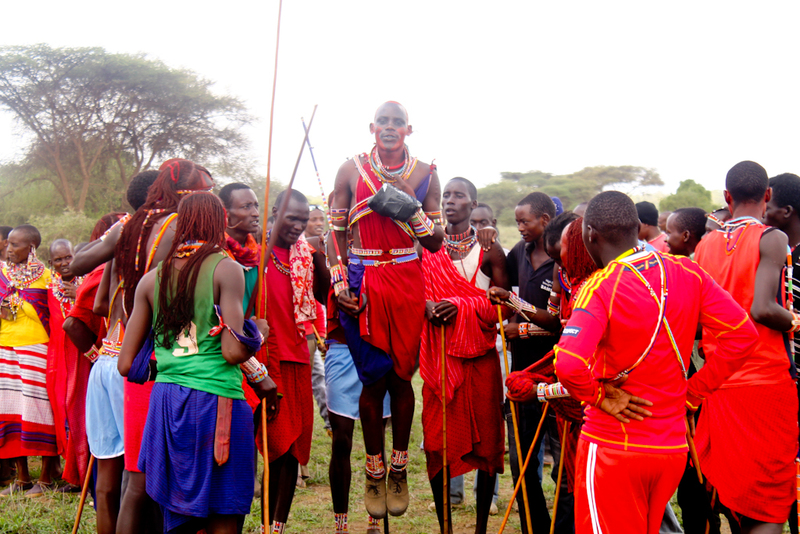 Maasai warrior Lekatoo Tipape of the Mbirikani Manyatta has been competing since the event began. Lekatoo explains that he was excited when he first learned of the Maasai Olympics, and since then it has had a positive affect on his life: "I was full of expectations," he says, "and everyone was equally excited and happy. It has introduced more discipline into my life and opened my eyes to the realisation that wildlife is a resource that can benefit me. Previously, I used to think of the wildlife - especially lions - as an enemy that had to be wiped out." "It has opened my eyes to the realisation that wildlife is a resource that can benefit me." Trophies and prizes motivate the Maasai warriors to compete and train to be their best. "I used to struggle to pay for my secondary school education," Lekatoo explains, "but through the prizes I've been winning in the Maasai Olympics, I'm able to pay for my education. The breeding bull that my manyatta won has helped me improve my father's breed, and with the Maasai Olympics prize money I've been able to buy two cows, which has increased my popularity and self worth; I'm very proud of this programme." Lekatoo's greatest skills are the javelin and high jump, and he has been winning no less than two events in each of his region's competitions. "Every warrior manyatta team puts in many hours of training for the team selections, regional competitions and finals," he says, "and every team has a coach as well as the cultural fathers. There is a very strong and passionate spirit of competition within the teams, among the teams and among the fans of the different manyattas. I am very optimistic that I will do well in the finals this year." Tom Hill concludes: "A paradigm shift in traditional behavior is achieved through layers of stimuli that collectively results, over time, in a historic change. 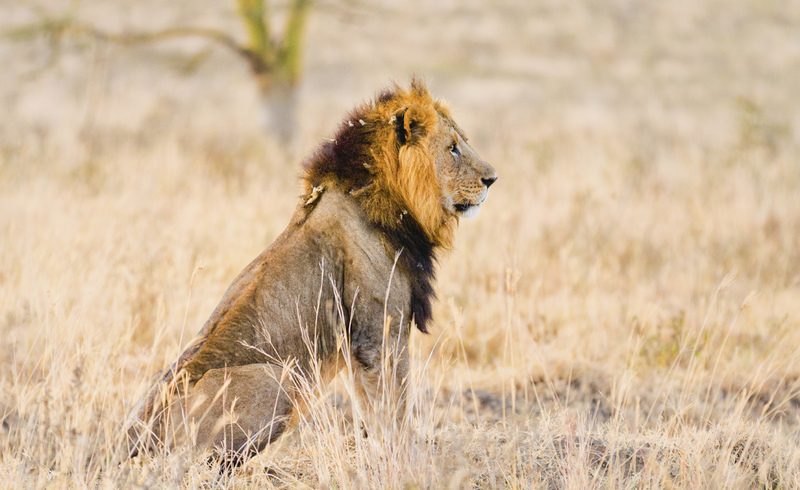 Lion killing has virtually stopped and the warrior chiefs are outspoken advocates of 'no more lion killing'." A film by Big Life Foundation.